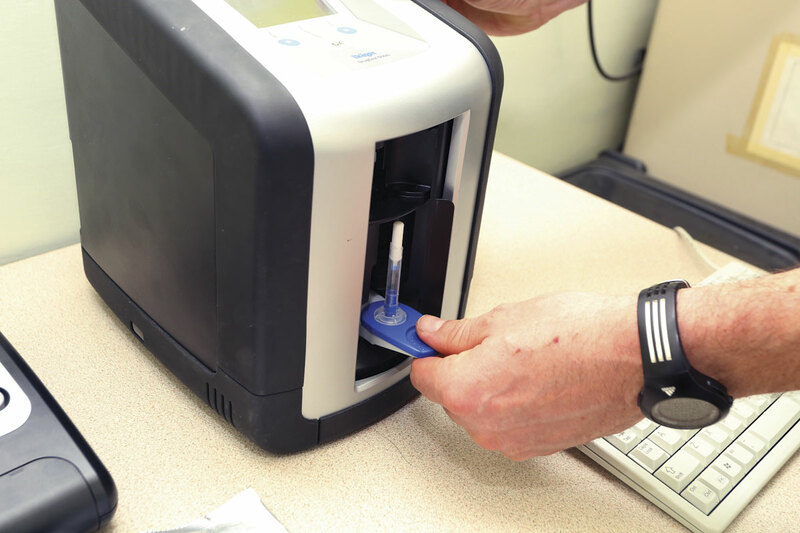 The new drug drive testing laws which came in to force earlier last month have opened up the way for drug testing manufacturers to promote their products to the industry. One such company is German based, Dräger, who have recently received Home Office approval for roadside drug testing. 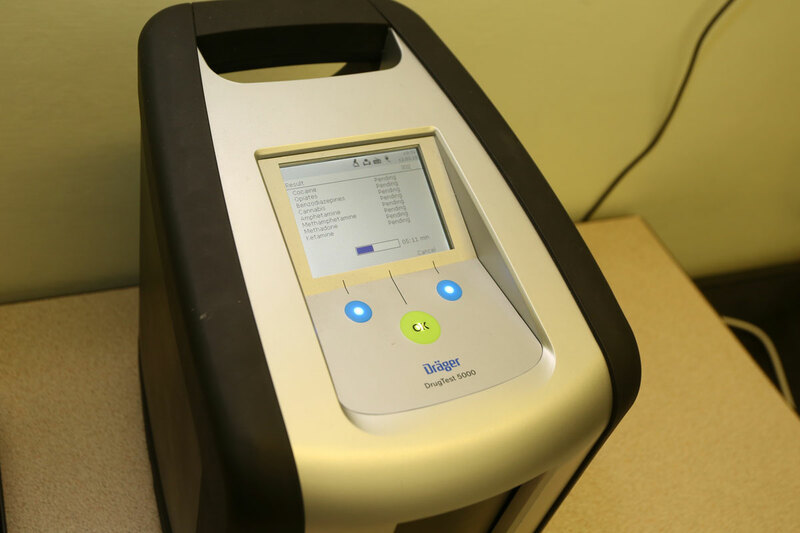 Kirsty Flatt found out more about the company and its drug testing product, the Dräger DrugTest 5000. Dräger was founded in 1889 and has many decades of expertise in the fields of breath alcohol and drug screening around the world, having been manufacturing these products for over 50 years. 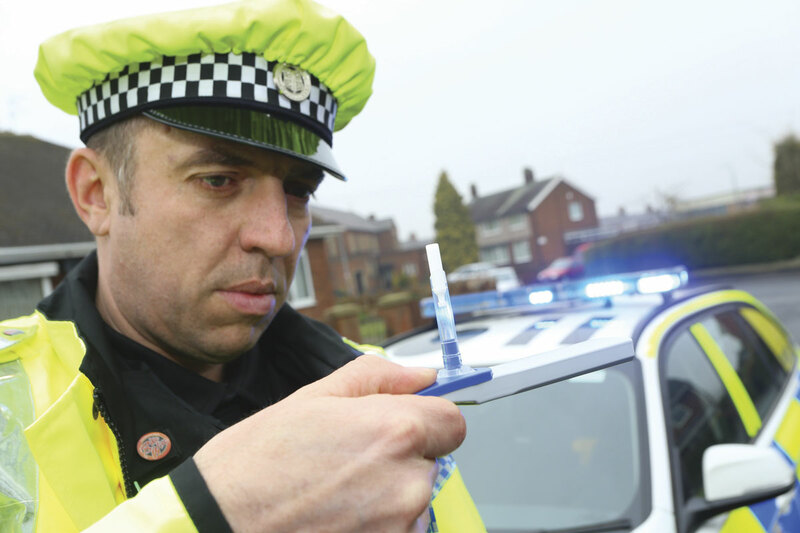 They became the first company in the UK to get type approval on an alcohol breathalyser, back in 1967 with the Alcotest 80 tube. The DrugTest 5000 was introduced in 2009 and is one of only two kits currently on the market with Type Approval for the roadside testing of cocaine and cannabis. It was also the first equipment to receive Home Office approval for a drug detection kit to be used in a custodial setting, in 2013. As we have covered this before, I won’t expand on this in any great detail but it is worth noting the changes none the less. There has been much controversy as to the thinking behind the introduction of the enforcements. It is suggested that it is for road safety reasons although the permitted levels between legal and illegal drugs vary hugely. In simple terms, a driver could potentially be penalised for having cannabis in their system, some 24 hours after taking the substance – many hours after driving impairment would have passed. This is based on evidence used by the government’s Expert Panel on Drug Driving which indicated that actual impairment after ingesting THC subsides after two and a half hours. An expert at Dräger questioned this by highlighting that the parent drug delta 9THC detected in both saliva and blood in the lab is likely to be impairing typically 5-10 hours after smoking one joint – if it’s present in the blood. Conversely, the levels for prescription drugs such as Diazepam are much higher and providing you are able to show a prescription, some leniency can be afforded by the enforcement officer. The new legislation has also imposed harsher penalties as a consequence of drivers being caught driving whilst under the influence of drugs; including up to six months’ imprisonment, a £5,000 fine and twelve months’ disqualification. 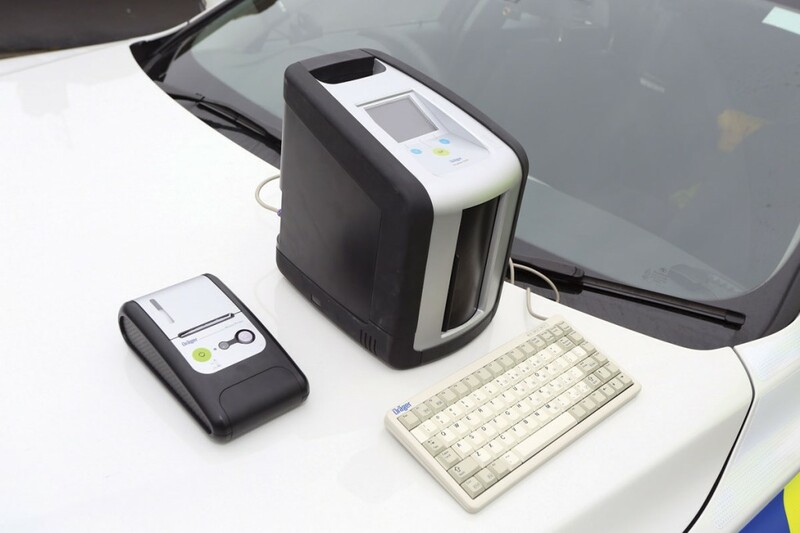 The fully automated, Home Office approved, Dräger’s DrugTest 5000 is being used by police forces around the UK, to test for cannabis and cocaine at the roadside, in much the same way that drivers are breathalysed for alcohol. Currently, there is no approved product in the market place to provide immediate testing for the other listed substances. 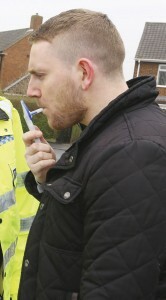 Drivers suspected of being under the influence would need to be taken to a station and have a blood sample taken. Before Type Approval was granted, the DrugTest 5000 underwent rigorous testing at the Home Office’s Centre for Applied Science and Technology (CAST), to confirm its accuracy; it has also been approved by drug enforcement agencies in Australia, Denmark and Germany. Approximately 2000 cassettes have already been sold in the UK to police forces as well as to a number of major bus and coach operators with over 100,000 sales worldwide. The Dräger DrugTest 5000 has been designed for real time usage, with saliva samples able to be analysed immediately for precise results, on the spot. It is a hygienic system in that a new test kit is used for each sample, it is easy to handle with protective gloves and the tester does not need to be in contact with the saliva. It comes as two parts, the test kit and the analyser. The test cassette consists of a covered ‘swab’ which is mounted to a type of plastic paddle that the person being tested holds so that there is no risk of the test being contaminated by any residue from their hands. The cover is removed by the tester prior to the cassette being handed over. The swab is then inserted in to the mouth and moved briefly back and forth between the cheek and gums until the integrated indicator signals that enough of a sample has been collected by turning blue. This usually takes less than a minute and never more than four minutes. This is then handed back to the tester who places the paddle on to the machine for analysis, providing a simple, painless, non-invasive and hygienic method of collection and testing. Once the cassette has been placed in the machine, the entire sample is covered by an automatically closing shutter which prevents any contamination. Analysis starts immediately and the results are shown in a colour coded, clear and concise way. Dependent on the model, the analyser can be programmed to measure both cocaine and cannabis at the same time and is available with five different language options. It has a simple, three button operation system and the screen can be easily read in low light or from an angle. Because this was originally designed for roadside detection, the analyser is light weight, portable, can be charged via 12 or 240v with the adapter supplied and will function effectively in temperatures ranging from 4-40C. The Dräger DrugTest 5000 also has extensive data management capabilities, allowing for the last 400 individual measurements, including date and time to be stored. Results can be printed off using a Dräger mobile printer, similar to a PDQ machine although a USB portal allows the transmission of information to a pc and a mini keyboard is available to allow further data to be added if required. An integrated self-test function means that no semi-annual calibration is necessary. Dräger also have a number of alcohol testing kits available. The Dräger Alcotest offers precise and quick breath alcohol analysis in a user-friendly and compact form. The handheld instrument can be easily configured to meet different international regulations and guidelines, as well as specific policies in the workplace. The Dräger Interlock is a breath-alcohol instrument with a vehicle immobiliser. After taking a breath alcohol measurement it prohibits a driver who has consumed alcohol from starting the motor. I covered in some detail (B&CB issue 1307, 19 December 2014) the best practices for implementing and enforcing a drink and drug testing policy, however, employers should be aware that if an employee is found guilty of a road traffic offence such as driving, or being in charge of a vehicle, whilst under the influence of drink or drugs, under the Road Traffic Act 1988, the Traffic Commissioner is able to take disciplinary action against the operator. This includes anything from the complete revocation of an O Licence, suspension in whole or in part, down to a formal warning for the operator concerned. In cases where a decision is made to revoke a licence, the Commissioner also has the power to disqualify an operator or the directors of a limited company, from holding or obtaining O Licences in any traffic area, for as long a period they see fit. The case would be looked at more favourably by the Traffic Commissioner if the operator can demonstrate that they have a drug and alcohol policy in place and that they have exercised all due diligence to prevent drug and alcohol misuse in the workplace. The danger of an employer not having a robust policy in place is that if someone is killed by an employee who is driving for work purposes while impaired, it’s possible that, as well as the driver being convicted, there could be a case under the Corporate Manslaughter Act (2007, c.19) if an organisation can’t show it had any policies in place for preventing people driving while under the influence of drugs or alcohol.